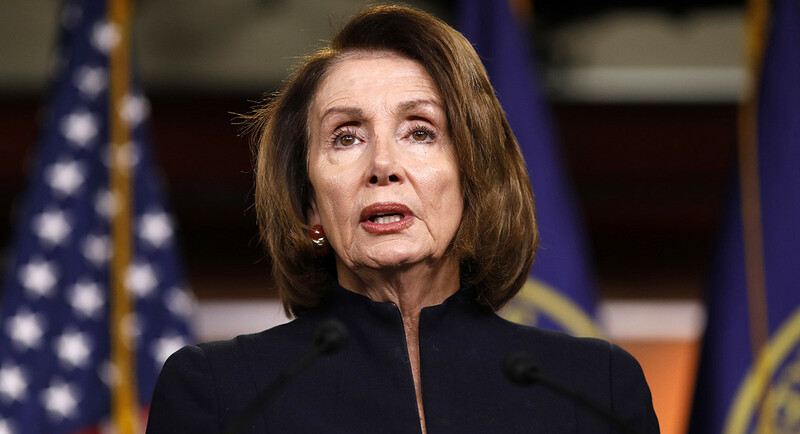 CNSNews: Democrats will seek to undo President Donald Trump’s efforts to secure the border and enforce the nation’s immigration laws, House Speaker-designate Nancy Pelosi (D-Calif.) promised in a statement Saturday. 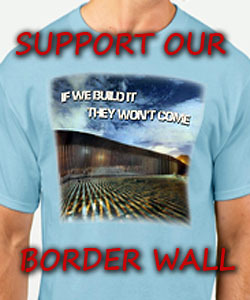 Pelosi said, when her party assumes the House majority next term, it will pass a bill to allow illegal aliens to remain in the U.S., make it easier for illegal aliens to seek asylum in the U.S., and end separation of apprehended illegal alien families – all while thwarting the president’s efforts to build a border wall. “In the Majority, Democrats will work to reverse the Republicans’ destructive anti-immigrant agenda. “Our House Democratic Majority will once again pass the Dream Act to end the uncertainty and fear inflicted on patriotic young men and women across the country. We will protect TPS [Temporary Protected Status] recipients and those fleeing unimaginable violence. And we will hold the Trump Administration accountable for their inhuman policy of separating families, and the trauma and anguish they have inflicted on vulnerable children and families at our border. Pelosi’s statement does not explain how her party intends to “strong, smart border security” after reversing the Trump Administration’s efforts to do so. “We will continue to work every day to ensure the American Dream remains in reach for everyone,” she concluded. Should be nice to Pe-lo-si, the thing just does not know better. She should think long and hard before she pisses us patriots off! I don’t understand why when BP apprehended an illegal on our side of our border they don’t just turn them right around and push them through the nearest gate back to Mexico? This will be interesting. We have better than 50% chance that it will be same ol, same ol. The R side of the uni-party can now keep blaming the D side and blame the voters for giving them the majority. Or, Trump can do what he could have done for 2 years now and fix this mess under National Security. First of all, Piglosey can’t pass anything without the Republican controlled senate. Then any bill that does get passed by both houses goes to Trumps desk and he can sign it or veto it. His choice not Pigloseys. She sure talks some dumb talk about her so called power. This mentally incapacitated political Whore needs to take a long walk off a very short pier!!! She took her company off shore so as not to pay union dues and US Taxes.. then helped the state legislature legalize ballot changing!! CA voters, all your fault for voting her back into office.. What goes around come around, NOW IS THE TIME to fix your problem!!! Can’t President Trump veto any Bill the Communist Democrat Party tries to pass? spoken like A TRUE TRAITOR, WHO NEEDS HUNG ALONG WITH THE REST OF THAT SCUM.